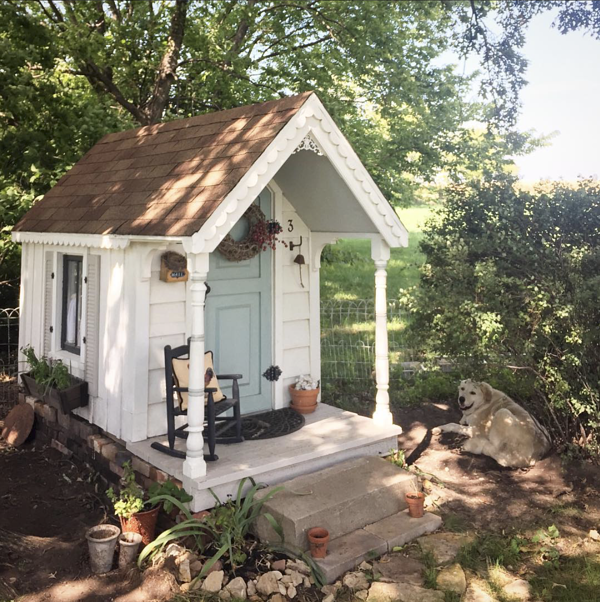 "She sheds" have taken the real estate world by storm! What started as a small trend a few years ago has grown into a must-have for many women. If you have your own she shed, good for you. You already know how life-altering having a space of your own can be. And you’re probably sitting in it sipping your coffee right now! But if you don't have one then, it’s time to get familiar. Let’s take a look at what she sheds are, how to make yours fab, and what the future holds for this popular trend. 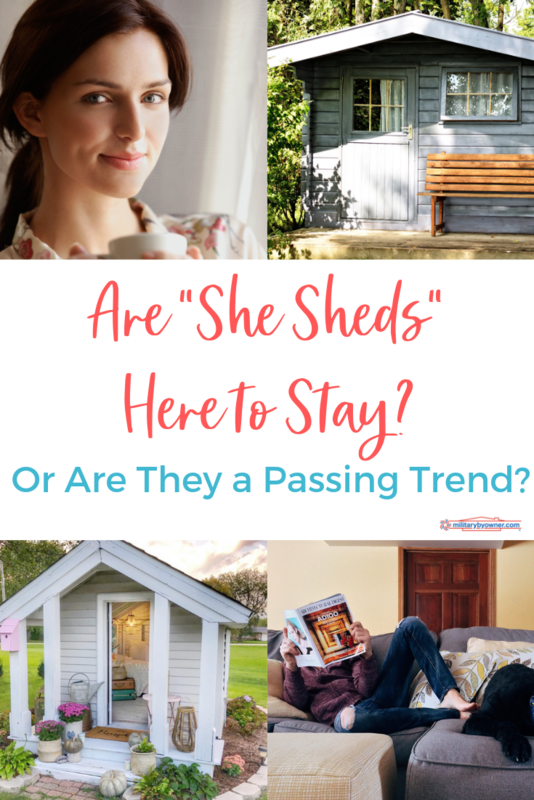 Are "She Sheds" Here to Stay? What exactly are she sheds? She sheds have become the answer for tired, over-extended women everywhere. They serve as escapes for tired moms who sit in car line and taxi their kids from activity to activity. They provide a quiet oasis for the working woman and space free from clutter and responsibilities for the stay-at-home wife and/or mom. But why have she sheds become so popular? Women aren't quick to take care of themselves. We all know how busy life is with responsibilities and that doesn’t account for the time it takes to breathe and regroup before starting tomorrow. She sheds make self-care for the busy woman much more attainable. It’s easier to sneak out to the back yard for a few minutes than to drive somewhere in search of relaxation. 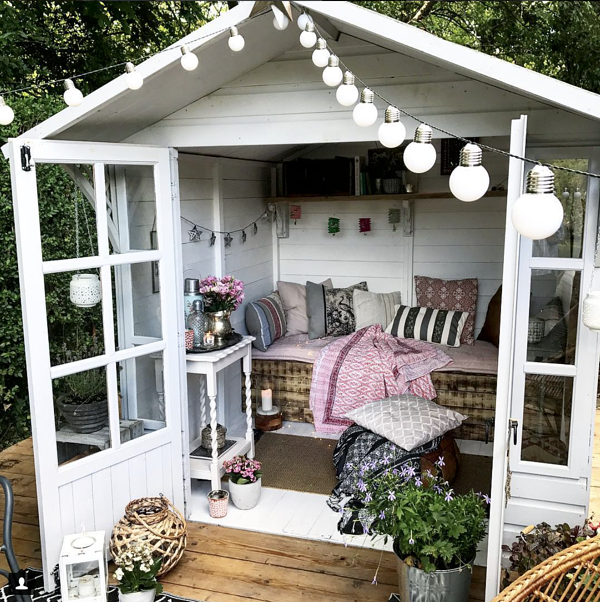 Plus, the she shed is your own space. You get to define what escape looks like for you and make the space reflect it. The best part about the she shed is that it’s as versatile as you want it to be. While your neighbor might use hers for one thing, you can use yours for something entirely different! Create the ideal work-from-home office. Set up a desk and transform your she shed into the quiet corner that you have no luck finding inside the home. Install a TV and disappear into a pile of your favorite blankets and pillows with a glass of wine where you can binge watch your guilty pleasures. Build a work bench and start one of the ten hobbies you’ve been meaning to try. Try your hand at sewing, writing, or decorating and design! Tips to Make Your She Shed Fab! 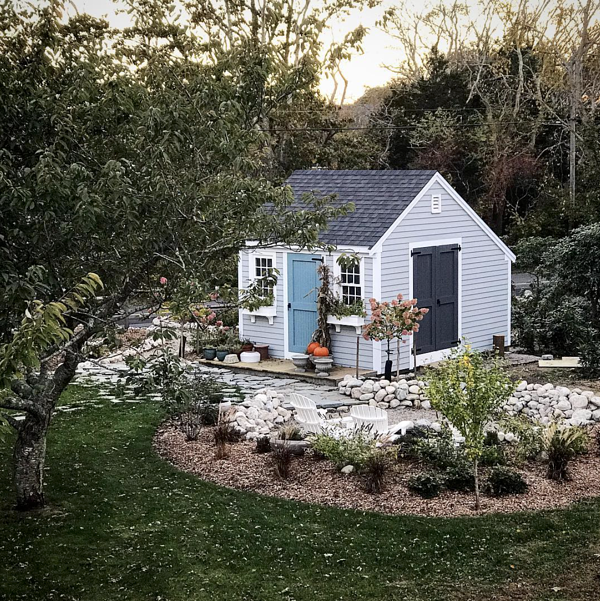 Creating your she shed can be a little intimidating. So let’s take a look at a few of my favorite she sheds and hear what their creators say makes them so fabulous! "Make it a reflection of YOURSELF! I love all things cozy, so incorporating a daybed and layering throws and pillows was a must. I love the color pink and try to sprinkle small amounts of it anywhere I will be spending time. I love to mix vintage with new, so mixing a few antique items in with some new pieces created the perfect space for me." "Treat your outdoor space as you would your inside one, lots of cozy rugs, cushions, nice lighting and a heat source like a fire pit or chiminea for chillier evenings." "Let your creativity fly and make it your sanctuary!" Follow these lovely ladies on Instagram where you can find more fun she shed ideas and projects for the house! She sheds started as a simple trend, but they don’t appear to be going anywhere. They’ve grown into a must-have in many homes today. As long as life’s demands run high, so will the demand of she sheds! Ready to find a home with space to create your own she shed? Check MilitaryByOwner's home page for available listings! 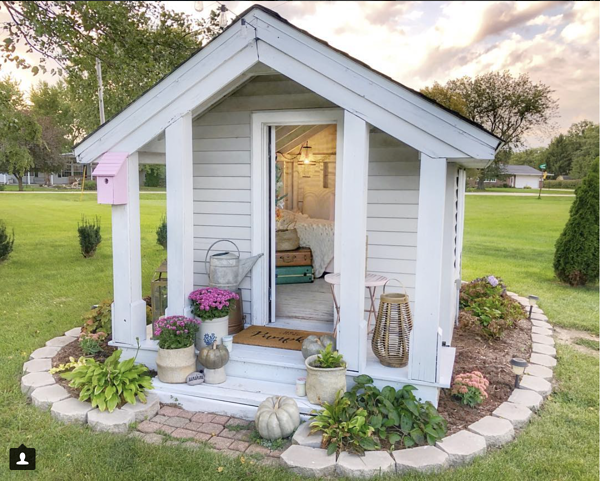 Have a she shed of your own? We'd love to hear what you use yours for. Be sure to share in the comment section!